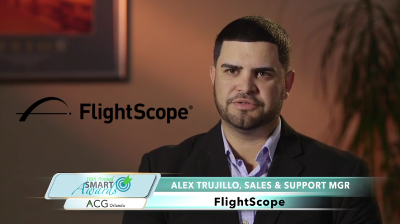 The Association for Corporate Growth recently named FlightScope as a finalist at the 10th Annual SMART Awards. The SMART Awards recognize the best growing middle-market companies headquartered in Central Florida that exhibit exceptional growth and ingenuity, as well as a strong corporate culture. With a background in cricket and tennis, FlightScope not only supplies scoring system services to 54 international tennis tournaments in 5 continents, but has more than 5,000 FlightScope golf radar users all over world. FlightScope truly has truly gone from a South African start up to a global leader in technology, operating across offices in three separate continents.